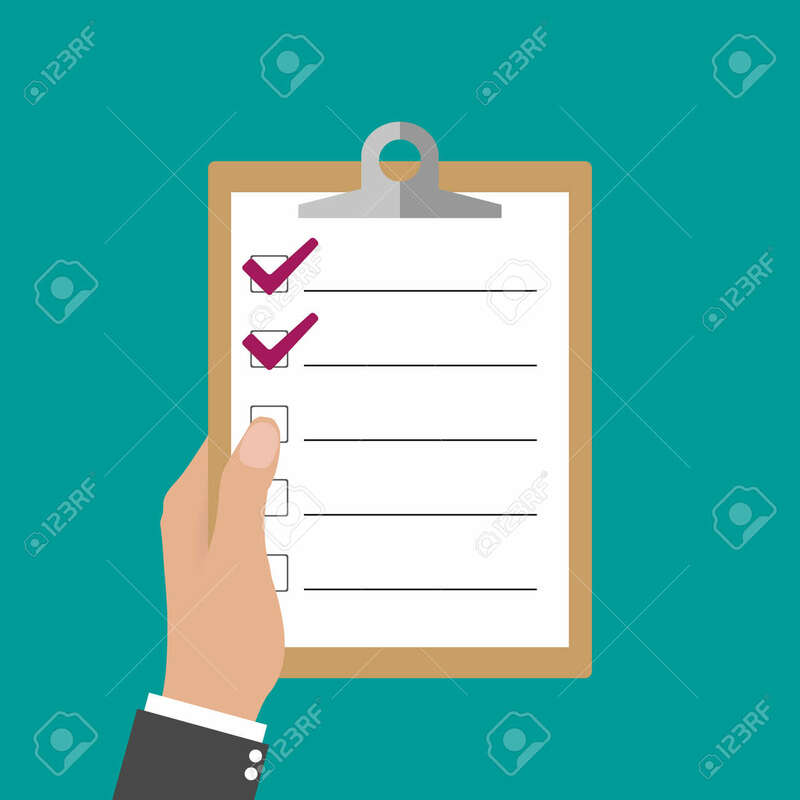 Hand Holding Clipboard With Checklist At Green Background. Vector.. Royalty Free Cliparts, Vectors, And Stock Illustration. Image 47925999.